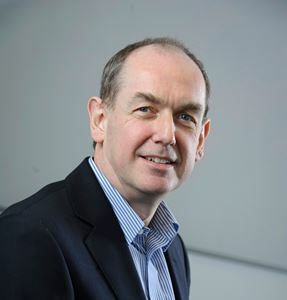 Paul Griffiths is Senior Director for the Advanced Technology Group at Riverbed Technology since the beginning of 2013. His core responsibilities include being an advocate for customers, prospects and Riverbed teams, advising on IT architecture and business solutions by communicating the current capabilities and future direction of the Riverbed portfolio. Interfacing with Riverbed Product Management and Engineering to contribute towards product development strategy. Having previously served in pre-sales and as a Global Consulting Engineer for Riverbed since 2006, Paul brings a wealth of knowledge, leadership and technical expertise to the Advanced Technology Group team, as well as evangelism for the company globally. Paul has over 25 years of experience across a wealth of IT industry sectors, including Data Communications, Mainframe, Office & Open systems, Symmetric Multi-Processing, Networks and Network Storage. Prior to joining Riverbed, Paul held technical marketing and consulting positions at Brocade Communications, Auspex Systems, Alliant Computer Systems, Convergent Technologies and ICL as well as participating on the Fibre Channel Engineering Council of SNIA Europe. Referee’s Decision, IT is a Goal! Size really does matter! From S to XXL, there’s a SteelHead for your needs.